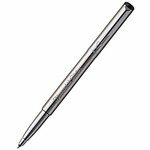 Branded pens can help to elevate a marketing campaign and add a higher quality element to the pen used. 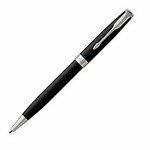 We supply a wide range of branded promotional pens and include some ideas here. 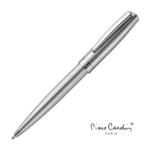 If you need a specific pen brand or want to see examples of the pen brands used for previous campaigns please let us know and we can send samples. It’s a marketing marriage. Marry the right imprint message with the right promotional gift and you’ve hit advertising paradise. So often thought it doesn’t happen and the great impact you could have achieved by giving promotional gifts is lower than expected. 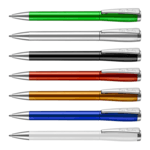 A lot of thought is often given to choosing the right promotional gift and its colour, shape, feel and function. What Would You Put In The World’s Smallest Advert? Everyday we see hundreds if not thousands of advertisements. From remarketing banners that spring in to action after we have downloaded a cookie from a website we visited to adverts in between our favorite TV programs. Where can you imprint onto a branded pen? The imprint areas are very similar to those for a typical pen. The most common area to brand is on the pen barrel and the imprint options will typically include a screen print or digital imprint. Are branded pens more expensive than traditional giveaway pens? The answer to this is yes as plastic pens are designed in the main to be a low-cost mass produced giveaway. 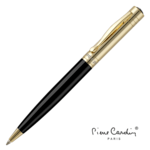 Pen brands tend to be higher quality and made from more expensive materials. Can you source other pen brands? 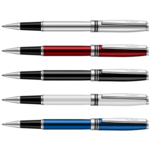 Yes we have an extensive supply chain and can source a wide variety of branded pens. Just let us know the brand you need. We show the most popular brands we supply here.